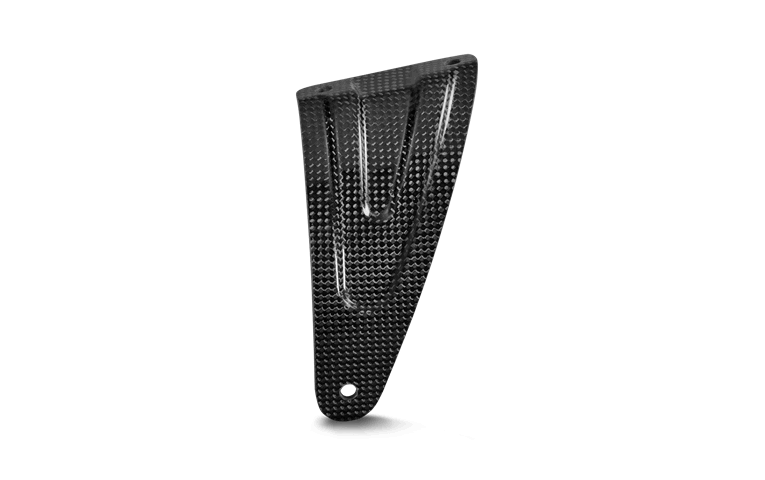 Aprilia RSV4 2014 SlipOn Carbon can. 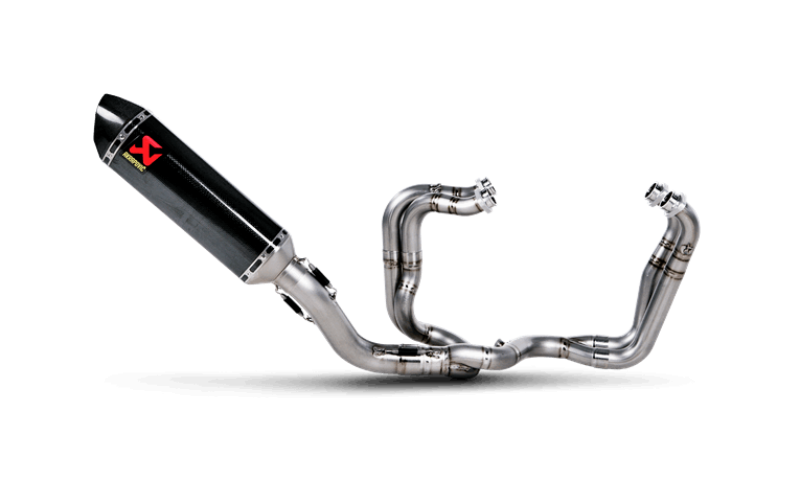 Fits to standard headers, Carbon race silencer with removable baffle. Slip-Ons represent the first step in the exhaust system tuning process, and they offer a great balance between price and performance. Sporty and lightweight Slip-On Line exhaust systems are a perfect match for this great Aprilia. Installation is a snap. The visual change comes with stylishly shaped carbon fibre muffler and end cap. In addition to design effects and improved power delivery, Slip-Ons also enhance the Aprilia sound. Let your bike stand out with more power, beautiful design, and the unique Akrapovič sound of Slip-Ons. Passenger footrest for mounting needed. If you want mount the Slip-On without passenger foot rest please order optional aluminium bracket. 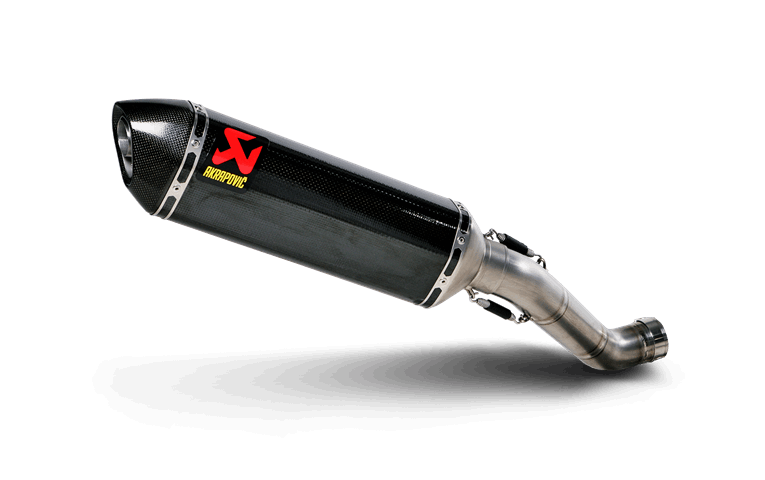 The Akrapovic slip-on exhaust is simple to install and a direct replacement. The hexagonal design with carbon fibre end cap dramatically improves your bike’s visual appearance, whilst the exhaust itself gives more power, more torque, and less weight. 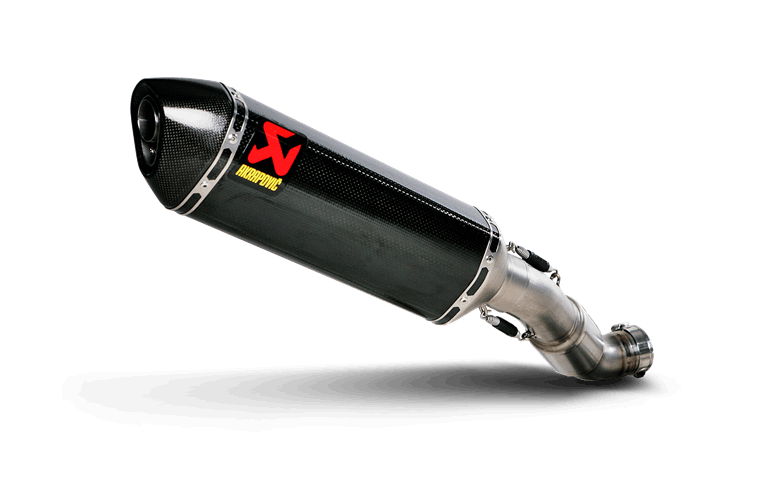 Akrapovic exhausts have won over 100 world championships in all types of competition and are developed in conjunction with the World’s top racing teams such as Yamaha Moto & Ducati Moto GP and Kawasaki WSBK.